What’s in store for spacetech in 2017? Last year was a dynamic time for space technologies, full of great achievements and ambitious plans as well as epic failures and accidents, reminding us of the complexity of space exploration, writes Ivan Kosenkov, a project manager with the Skolkovo Foundation’s space cluster. In this op-ed for Sk.ru, Kosenkov outlines the current key trends in the development of space technologies, and forecasts what we can expect to see in 2017. Last year saw some groundbreaking developments, such as the launch and return of SpaceX's Falcon 9 rocket. Photo: SpaceX / Flickr. Governmental space programmes will remain relatively unchanged in coming years, both in terms of funding and content. However, it will be interesting to watch the influence of new U.S. President Donald Trump on U.S. space policy: it looks like the new NASA administration will reallocate the resources currently designated for the climate observation programme to the study and exploration of deep space. In addition, NASA may revise the strategic decision to fly to Mars, bypassing the moon. It is also interesting to look at the impact of Brexit on European space programmes. Despite the fact that Britain will no longer be a member of the European Union, the country will remain a member of the European Space Agency (ESA), which is a separate international organization with its own principles and rules. However, as the EU has its own space programmes, for whose implementation the ESA is responsible – namely the Galileo global satellite navigation system and Copernicus remote sensing system – the question of British participation in these programmes remains open. In general, spacefaring nations in the coming years will adopt and implement programmes aimed at the exploration and use of outer space - usually a programme of remote sensing and telecommunications for civil and military purposes, and space science. The budgets for such programmes will remain stable. For states that have the ability to create launch vehicles (there are fewer than 10 of them), the top priority of the space programme is to ensure guaranteed access to space. The key issue here is the new generation of launch vehicles: the U.S.’s super-heavy SLS launch vehicle, the ESA’s Ariane 6 and Russia’s Angara. Even fewer space-faring nations aim to create their own satellite navigation system. Having one’s own positioning, navigation and time (PNT) signal is considered a matter of national prestige in the modern world. There are currently six satellite navigation systems: four global ones and two regional. Among them, three – the global GPS and GLONASS and regional IRNSS (India) – are fully operational, the other two global ones – BeiDou (China) and Galileo (EU), as well as Japan’s regional Quasi-Zenith Satellite System (QZSS) – are partially functioning. Space exploration programme highlights in 2016 include the arrival of the Juno probe on Jupiter. The spacecraft had difficulty with the transition to the target orbit, but continues to collect scientific data. Another significant event was the Martian orbit insertion of the Russian-European mission ExoMars. Unfortunately, the Schiaparelli lander crashed on the planet's surface, but the orbital module is working properly. 2016 was also marked by the triumphant completion of the Rosetta mission: a milestone in solar system exploration. Dawn, Hayabusa-2 and Osiris-Rex will continue their exploration of small objects in our system. 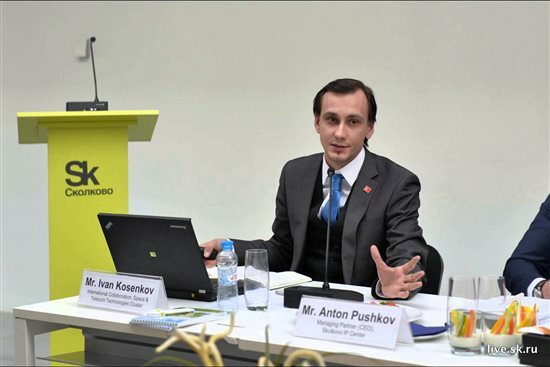 Ivan Kosenkov is an analyst at Skolkovo's space cluster. Photo: Sk.ru. As far as human spaceflight is concerned, International Space Station participant countries still can’t elaborate a clear vision of the post-ISS period. The station will continue to exist until 2024 (though member countries have begun to discuss the programme’s extension to 2028), but it is not clear whether there will be any successor to the ISS after the end of its life. The U.S. has declared a "flexible path" to Mars, yet more and more scientists believe that this is impossible without prior lunar exploration. The planned asteroid landing mission scheduled for 2020 is subject to criticism by many experts due to a lack of focus and the unavailability of key infrastructure. As for Europe, the concept of the “moon village” proclaimed by the ESA is a general concept, an invitation to cooperation, rather than a real lunar programme. With this in mind, Russia's plans to undock the new modules of the Russian segment from the station in order to build a national space station make sense, as at the moment of ISS disposal, the new modules will still be functional, as they are currently still being built. The key issue for the Russian space exploration programme is to implement the project for a new manned spacecraft, to provide a launch vehicle for it and to build the Vostochny launchpad for manned missions, where the maiden Soyuz launch was performed in 2016. There is still an acute issue of quality control: the loss of the second Progress cargo spacecraft in two years significantly increases the risk of Russia failing to meet its international obligations regarding the ISS. The number of states developing space capabilities is growing thanks to developing countries in Asia, Africa and South America. Typically, the initial phase of a national space programme for an emerging space-faring nation is the procurement and operation of its own telecommunication satellite on GSO or partially independent development of small satellite for remote sensing, using human and technological resources from established space powers, involving a transfer of technology. This business model was successfully implemented by SSTL, now operating as part of Airbus Corp, and is extensively used now by many private companies. Another way of developing national space capabilities is to ensure access to space by implementing a project for a national launch vehicle. This requires far more advanced technological capabilities and involves complex matters of export control of dual-use goods and weapons. For space startups, this market for creating space competencies by transferring technology and building small satellites for developing countries could also be a growth point, along with attempts to create a vertically integrated company providing high value-added services. The private space sector has become the power defining the future of space technologies. In comparison with stable and conservative long-term public space programmes, private space companies – driven by the intrinsic need for cost efficiency and marked by their dynamism and quick evolution of ideas and paradigms aligned with the main trends of technological development (growth of IoT, Big Data, AI) – are definitely the ones to watch. In 2016, the dynamics of venture capital investment in space startups once again confirmed the volatility of investment. After a record in 2015, when SpaceX and OneWeb megarounds raised the total volume of investments in space startups to over $2.3 billion, the volume throughout most of 2016 of just over $300 million looks disappointing. Even a new round of investment of $ 1.2 billion raised by OneWeb and declared in the penultimate week of 2016 was not able to rectify the situation. Such unstable dynamics mean it is currently impossible to make reliable predictions regarding the volume of venture capital investment that will be poured into the industry. It’s true that in general, the number and volume of deals has increased, but most investment goes to a small number of players. The likeliness of the emergence of new space "unicorns" is questionable: entry barriers to the space industry remain high, particularly for hardware companies. As a result, it seems that in the next few years, most venture capital investment in the industry will be received by the same few companies: Blue Origin, Planet, OneWeb, SpaceX and several other players. New companies emerge and disappear, surprising M&A deals are becoming frequent, and the role of private players is being transformed from government contractor to independent entities, with their own programmes and vision that may differ significantly from the space policies of states. 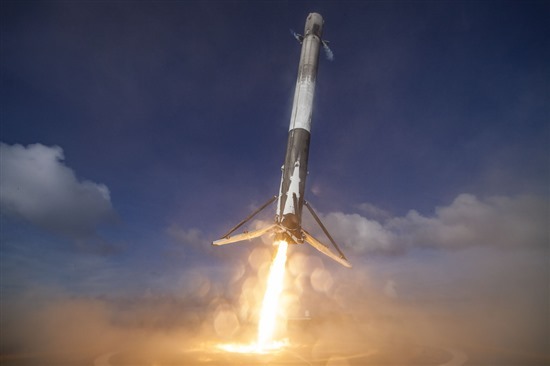 This is reinforced by impressive technological achievements, such as a number of successful landings of the first stage of the Falcon 9 by SpaceX or New Shepard by Blue Origin. However, the rocket startups attracting most of the public attention are a minor part of the new space ecosystem companies trying to disrupt the space market. The upstream (rockets and satellites) market is only 2% of the total space market volume – the rest of it is space services. 2017-2018 will be crucial years for startups focused on building satellite constellations for the provision of services mainly related to Earth observation data acquisition and processing. In 2016, Planet (formerly Planet Labs) continued serial launches of Dove cubesats, forming Flock constellation, Google's Terra Bella (previously SkyBox Imaging) launched five satellites into orbit (including one launched by an Indian PSLV rocket – a precedent for an American spacecraft being launched by an Indian launch vehicle). Spire also started the deployment of its constellation, which means that the infrastructure for the disruption of the Earth remote sensing market announced by these startups is already in place. The coming years will show whether new products will be able to disrupt the geoinformation industry by finding the “holy grail” – products and services associated with the provision of geospatial data, and analytics based on them and desired by the end-user. Startups promise a revolution in the use of satellite imagery associated with big data processing, but the question of demand for such services and the sustainability of the business model remains open. It is likely that the authorities will remain the main consumers of these services, which is currently the case for the traditional Earth remote sensing data providers DigitalGlobe and Airbus. This scenario would be quite ironic for apologists of private space exploration. Another hot topic for space entrepreneurs is the disruption of the satellite communications market. Two leading companies, OneWeb and SpaceX, are planning to build megaconstellations of telecom satellites to provide high-speed Internet access. 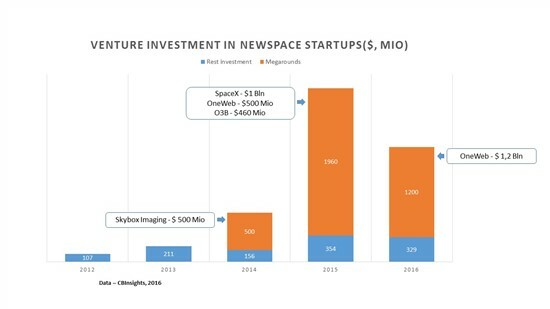 OneWeb intends to launch 900 satellites and provide global coverage by 2020. SpaceX’s plan is even more impressive: the application filed to the Federal Communications Commission mentions 4,425 satellites at several orbital plains at heights of 1,100 to 1,300 km. We can see many new entrants in the race to provide global broadband Internet access: the big companies such as Boeing with satellite solutions and Facebook and Google with satellite substitutes such as drones and even balloons, and a great number of small startups. The most intriguing part of the trend is whether there is really a demand for new satcom service providers, and if the answer is yes, how many players can this market sustain? To begin with, there are multiple alarmist forecasts regarding the future of existing satcom operators, due to the shrinking customer base for satellite communications: wherever there is solvent demand, terrestrial solutions – fiber optics and cellular networks – move in. Even if analysts point to the lack of regular access to the Internet for more than 4.2 billion people, the question of the ability to pay for such a demand remains open. The recent introduction of "high-throughput satellites" (HTS) technology for geostationary orbit satellites has already led to a significant drop in the cost of data transmission via satellite and a corresponding drop in revenues of operators. In coming years, HTS will generate an excess of satellite capacities, and the future of satcom will depend on the ability of the market to fill the new capacity with content and expand its customer base. In terms of traffic growth, high-speed Internet access services for mobile objects – ships, planes, trains and cars – certainly has great potential, as there is obviously a need to increase the bandwidth of existing channels. In terms of expanding the customer base, there is a need in new business models and opportunities to reach available consumers. That is likely why OneWeb is developing a partnership with Coca-Cola, which has a distribution network in rural and remote areas that are the target for the satellite Internet access provider. To what extent the existing and new players will be able to change the face of the satellite communications market, we will see by 2020, the deadline by which the new constellations are due to become operational. Alexei Belyakov (centre), head of the Skolkovo Foundation's space technologies cluster. Photo: Sk.ru. Another issue related to megaconstellations deployment is the proliferation of space debris. It is worth noting that the current number of operational spacecraft in orbit is only about 1,500. So if OneWeb and SpaceX go ahead and implement their projects, the number of satellites will increase by several times. At the same time, the functioning of such constellations raises questions of space traffic management and debris mitigation: the satellites have a relatively low life expectancy of about five years, which means retired spacecraft which constantly have to be replaced. As a result, these orbits will be congested both with operational spacecraft and space debris. The existing system of governance of space activities has not yet adapted to these challenges. The International Telecommunication Union only allocates slots on geostationary orbit, but the allocation of separate areas on non-GSO orbits for commercial constellations is rapidly becoming one of the most urgent for the space community. Therefore, it is logical to assume that the issue of additional regulation will be actively discussed at the ITU level, which will possibly lead to new rules regarding the allocation of areas of LEO and MEO for the needs of large satellite constellations. This major change in the legal framework will require de facto consensus between the leading space (and non-space) powers, hence, judging by the current state of international relations, it’s fair to say that progress will not be quick or easy. As far as large constellations are concerned, then, it will be up to technology rather than the governance system to solve the issue. We can therefore forecast increased interest in technologies for orbital maintenance and space debris removal. In this regard, in the next few years, it makes sense to track the progress of projects like Restore-L, implemented as a public-private partnership between NASA and SSL (Space Systems Loral). The development of on-orbit satellite servicing is a key facilitator for a new generation of orbital infrastructure, featuring more autonomy and flexibility. Another facilitator is the technology of orbital manufacturing, in which spacecraft are partially produced in space, and partly with the use of space resources. We saw considerable progress in this area in 2016, with the contract between a division of Tethers Unlimited and Space Systems Loral to demonstrate the production of satellite structures in space, particularly telecommunication devices like antennas, booms and other large structures. One of our partners, Sputnix, is cooperating with the startup Anisoprint to create a printer to build a spacecraft structure from composite materials on-orbit and on-demand. It will be crucial for them in the next few years to agree with Roscosmos on testing the infrastructure for additive manufacturing in space onboard the Russian segment of the ISS. The final piece of the puzzle for next-gen orbital infrastructure is the use of space resources, and last year saw a positive development: the elaboration of legislation regulating the activities of space mining by the United States and Luxembourg, and investment of 200 million euros in the development of technological capabilities in this area by Luxembourg. It’s worth noting that the U.S.'s Planetary Resources - the potential leaders in this area – made a pivot in 2016 towards more mundane plan: deploying an Earth remote sensing satellite constellation. The logic of the company's management can be understood: venture capitalists are not going to wait 20 years or more for the maturation of technology enabling the mining of extraterrestrial resources. 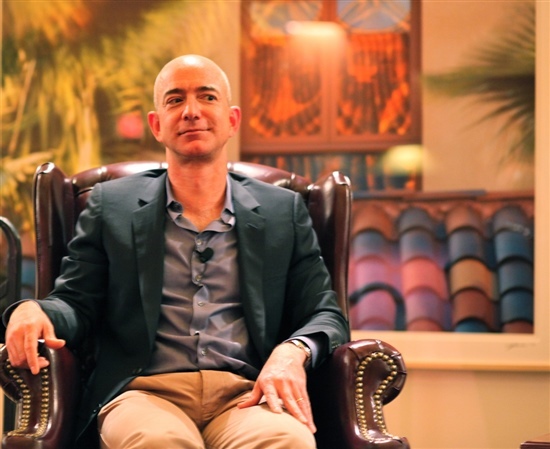 Jeff Bezos, founder of the U.S. human spaceflight startup Blue Origin. Photo: Steve Jurvetson / Flickr. Ultimately, all plans for breakthrough orbital infrastructure run into the same bottleneck: the cost of the launch. This problem, despite initial successes in returning used rocket stages and the high technology maturation rate demonstrated by Musk and Bezos, remains far from resolution. According to the statements of SpaceX president Gwynne Shotwell, the launch cost on Falcon 9 with a reused first stage will only be 10 percent lower than using a new one, with a potential increase of up to 30 percent. It’s an interesting price offer, but it’s very different from Elon Musk’s promises to reduce the cost of space launches by orders of magnitude. At the same time, Falcon Heavy and the manned version of Dragon spacecraft are suffering from long delays, while the head of SpaceX is proclaiming long-term plans for colonising Mars. In this sense, 2016 was truly a year of promises: in addition to SpaceX’s plans, there was also Jeff Bezos’ ideas – seemingly inspired by Konstantin Tsiolkovsky – to build self-sustaining colonies in outer space and start work on the New Glenn heavy-lift launch vehicle. The results for 2016 of Bezos’ company, Blue Origin, are quite impressive: suborbital flights with a reusable stage, and progress in work on a methane engine for the new Vulcan launch vehicle designed by the United Launch Alliance (ULA) to replace Russian RD-180 engines. The next three years will show whether the transition from suborbital to orbital flight can be successful. The future of other suborbital tourism projects looks less bright than Blue Origin’s. In May it was reported that the XCOR Lynx suborbital rocket plane project - one of the potential leaders of the emerging market – would be put on hold. Virgin Galactic’s SpaceShipTwo project is still being tested and has never flown beyond the atmosphere. It has also been hit by cost overruns and delays caused by a 2014 accident. Swiss Space Systems (S3), which was developing suborbital spacecraft, was declared bankrupt in December 2016, a few months after its CEO and founder was beaten and set on fire in a Swiss forest. Another interesting category of projects aiming to provide access to space are light and ultra-light class launch vehicles for launching multiple small satellites. The operators of small satellites face the inherent problems of the piggyback launch related to limitations both in the design of spacecraft and available orbits, not to mention dependence on the readiness of the main payload, which can sometimes be delayed by years. One solution for this is dedicated smallsat launch vehicles. The leader in this field is the U.S.'s Rocket Lab, which recently completed ground testing of the first stage of the Electron rocket, made with extensive use of composite materials and additive manufacturing. In the meantime, 2016 was tough for Firefly Space Systems, one of Rocket Lab’s most advanced competitors: the U.S. company faced problems with investment and intellectual property rights. This kind of launch vehicle will not mature sufficiently for years, so the question of reliable technology allowing timely access to space for small spacecraft remains open. The past year, therefore, posed a lot of questions about the future of the space industry and technology in coming years. On the one hand, we are seeing increased activity among private players, who are proclaiming ever more ambitious projects. There are numerous attempts by startups to disrupt existing markets and products, along with numerous failures by these companies to achieve any considerable result. On the other hand, governmental funding of space programmes and plans remain pretty much the same, regardless of external circumstances such as elections or the economic crisis. It seems that the main challenge for the U.S. right now is to ensure the effective implementation of private space sector support measures, and to realise public space programmes in accordance with institutional prerequisites for each specific space power. Private companies face the problems of searching for and creating new markets and business models, and cooperating with the authorities. Active discussion about the role, goals and subjects of space activities will continue in 2017, so stay tuned for our updates and posts.